Plans to visit Jaipur? Don't miss this heavenly food joint. It's a typical old restaurant famous for all types of chaat, tikkis and sweets. People buy kilos of Ghewar and Phenis when it's in season from here. 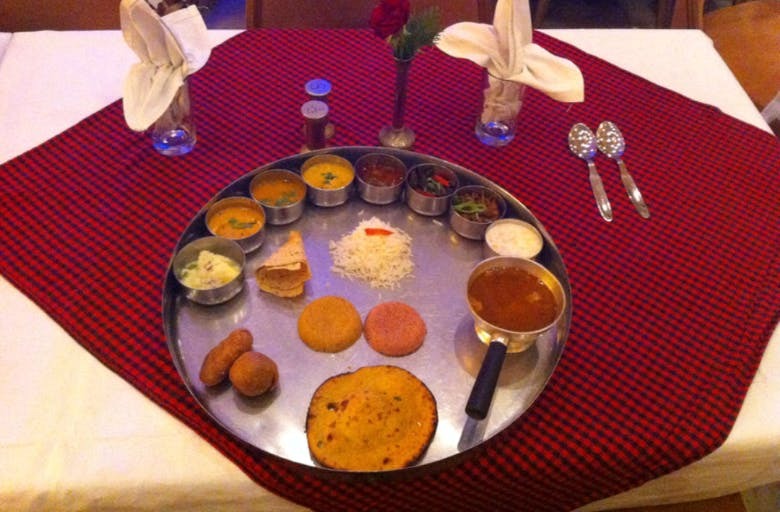 Beyond the snacking options, they have a full fledged main course menu.The thali they serve is incomparable. More sitting space in the snacking section would add to the comfort. Be vigilant for the parking space; they have limited car space as it is on the main road but don't worry, you will find some. It's a reasonably priced eating joint with all the variety which you aspire for. The taste of food is fantastic and hence it is a well-known name all around the city. The Rajasthani Royal Thaal is priced at around INR 540 per person which has all the components and flavours of Rajasthan. This is a must-have meal if you visit. It comprises of daal, baati, choorma and other delicacies.